Workers’ compensation is a no-fault system, so you’re entitled to benefits regardless of the cause of your accident. ● Lost salary or wages. ● Compensation for permanent disability. ● Injuries resulting from intoxication. ● Injuries sustained while performing an activity specifically forbidden by the employer. ● Injuries caused by horseplay. ● Injuries sustained during a fight. 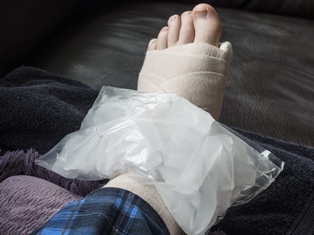 In New Mexico, injured employees are only entitled to receive workers’ compensation benefits from their employer, and nothing else. This is known as the exclusive remedy provision, and it applies even when the employer or a coworker caused a worker’s injuries due to gross negligence. Employees are barred from suing their employer for additional compensation, even when the employer is clearly at fault. Workers’ compensation laws can be very complex, but an experienced attorney can help workplace injury victims receive the compensation they deserve. If you’ve been hurt on the job, you need professional legal representation. To learn more, contact the Injury & Disability Law Center by using the form on this page. Does My Employer Carry Workers’ Compensation Insurance?